Japan may look and feel like the United Kingdom or Germany. It's cuisine may be on par with France, Italy, and Spain and follow a similar farm to table strategy that relies on the underlying quality and taste of the food over seasoning. But when it comes to culture...Japan is in a world unto itself. I was always curious why Japanese tourists visiting the US would take photos of everything. After being in Japan for just a few hours I had to check myself from doing the same exact thing. Japan has everything you'd find in Western culture...with a slight twist. Books open to the right with vertical text. Taxi cab doors and toilet seats open automatically. If people can be separated into "A" and "B" type personalities, so can culture. Despite a formal, quiet (the trains and metros are silent), and reserved personality the Japanese culture hits you with full force as soon as you arrive - the only culture that may pack a stronger punch is India. They wear black suits. They carry purses. I don't mean man purses, I mean women, Longchamp brand, handle large enough to hang over the shoulder, purses. They begin to fill the metro at 7am and are still riding in full force at 10pm, possibly sleeping in a what would seem to be an uncomfortable position. If they miss the last train an entire cottage industry - Capsule Hotels - has developed to give them a place to rest and a community bath. They eat, drink, and smoke in herds. They are the Japanese businessmen. I've never been to a country where simply watching people go to and from work should make the "Top Things to Do" list. Or where I actively seek hotels, bars, and restaurants where I may catch a glimpse of the Japanese businessman in action. It is such a unique sub-culture and it is so omnipresent that it becomes a part of your trip no different than visiting Mt. Fuji, Kyoto, or Miyajima. I can unequivocally state that the Japanese Businessman belongs in such lofty company with these traditional sites. I first came across the Japanese companion bar concept in Bangkok. I was walking through Patpong when a block stood out as being stranger then the rest. 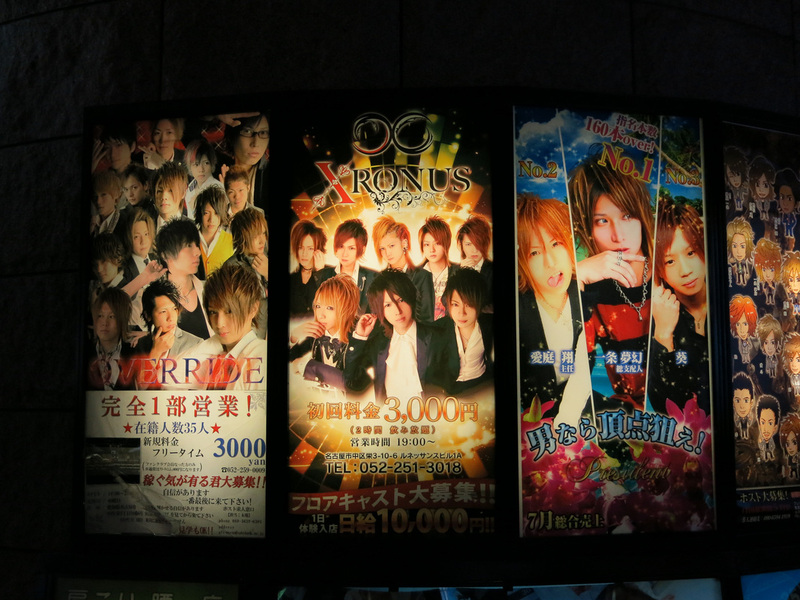 I inquired as to what the setup was and was simply told this is for the Japanese only. Japanese only...now I'm very interested. Five minutes later two Japanese men approached...I asked if I can join them, they said sure, and we all entered the elevator together. When the elevator doors opened there was about 30 women all dressed in formal clothes waiting in a lobby area of what appeared to be a restaurant with no diners. Sensing my confusion the Japanese guy explained that you pick a woman, buy her and you a drink, and you chat for an hour - it costs 1,000 BAHT ($30) plus the drinks. I was even more confused after the explanation. Who would ever pay to have a conversation with a woman? The Japanese. I arrived in Japan and these places are everywhere. As a foreigner you're not allowed in because you don't speak Japanese...so what's the point. I feel like Onsens are a running inside joke the Japanese have with newly arrived tourists - "definitely check out our hot springs and public baths; it's a must do in Japan". Onsens are a unique cultural experience but it seems an odd recommendation for an uninformed tourist. A similar tourist recommendation in the US would be telling people to head to an old man locker room as soon as they step off the plane. I'll set the basics and you can use your imagination for the rest: once you enter the bathing room you'll notice showers along the walls and a steaming bath in the center; the shower head is about waist high and you need to sit on a stool to clean yourself before entering the bath; after you've washed you hop in the bath for about 5-10 minutes before drying off and continuing with the rest of your day. This isn't a daily routine followed by 20 or 30 somethings but rather 70 or 80 somethings and you're never really alone in the onsen. For 300 Yen it's about of a low cost cultural activity as you can find. Alternatively to the public bath onsens are resort-like spa onsens where a bathing suit is required. This may be the onsen style guidebooks are referencing but you can find resorts with hot tubs anywhere. 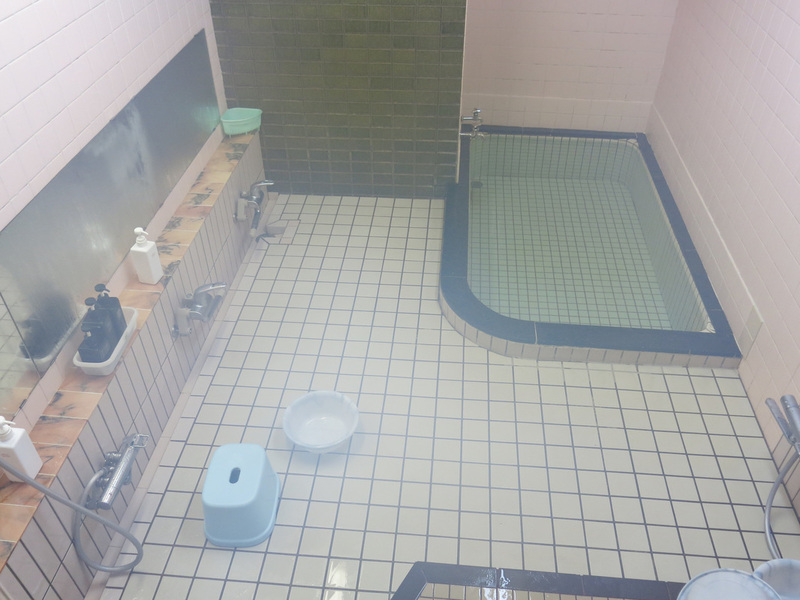 All that aside - "definitely check out Japan's hot springs and public baths; it's a must do." It's the bright lights you see first but it's the ringing in your ears that will be the lasting impression - the ringing lasts for about a minute after you've finished playing and exited the building. Pachinko involves shooting pin balls to the top of a screen then hoping the balls bounce fortuitously through pegs and land in the center space below. You accumulate points for balls that land in the center space and once you're done playing a coupon is printed out that you can use to redeem prizes. It sounds simple but you'll probably need someone to walk you through how to play the first time even if you have English instructions in front of you. If you can't find a coin machine, that means the minimum play amount is 1,000 YEN. Watch the video - warning your ears may start ringing too! If you come to Japan and stay in Western style hotels you'll be missing on of the most traditional Japanese experiences: staying in a Ryokan. 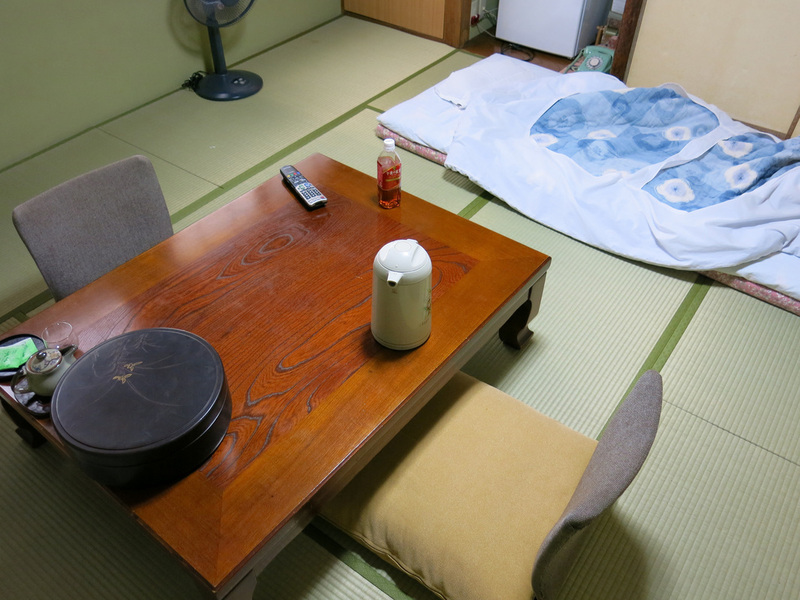 Ryokans developed in the Edo period and are distinguishable from a Western style hotel because of the matted floor, shared shower and bath facilities (although you can use them privately), and most strikingly that the the bed and chairs are on the ground. The environment is like staying in the room of someones house. There are lots of Ryokans in the Gion District of Kyoto so deciding to stay in a Ryokan here will help to enhance the "travel back in time" feel. Given the lifestyle of the Japanese Businessmen it's no wonder that capsule hotels developed to provide a place for someone to sleep on short notice if they missed the last train out of the city center. 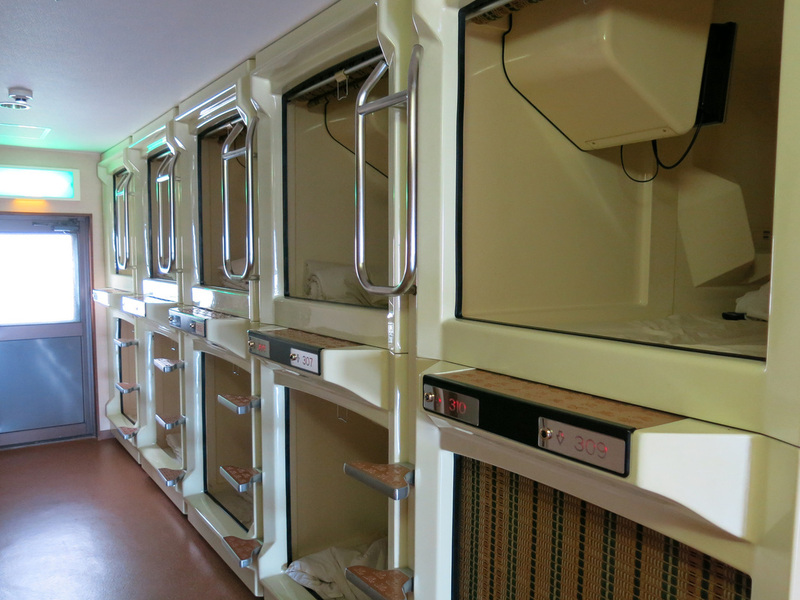 The Capsule Inn Osaka opened in 1979 and has spawned a series of copy cat hotels that can be found all over Japan, usually near a major train station. Rooms typically are a fiberglass pod and include a TV - with a channel dedicated to male curiosities. There's a locker for your belongings and an onsen style. When you go to bed at night it may feel like the hotel is empty...the Japenese Businessmen just haven't arrived yet. The next morning lots of people will be around and every seat in the breakfast area will be filled. I remember when I was younger thinking of how advanced Japanese society was - in America we were just receiving Super Mario Brothers 3 - but in Japan they already had the 4th, 5th, and 6th editions (at least in my mind the did). When you arrive in Japan a taxi pulls up and the door automatically opens...so futuristic - never mind the fact that no stores accept credit cards and Western card accepting ATMs are impossible to find - Japan is much further ahead technology wise than the West. 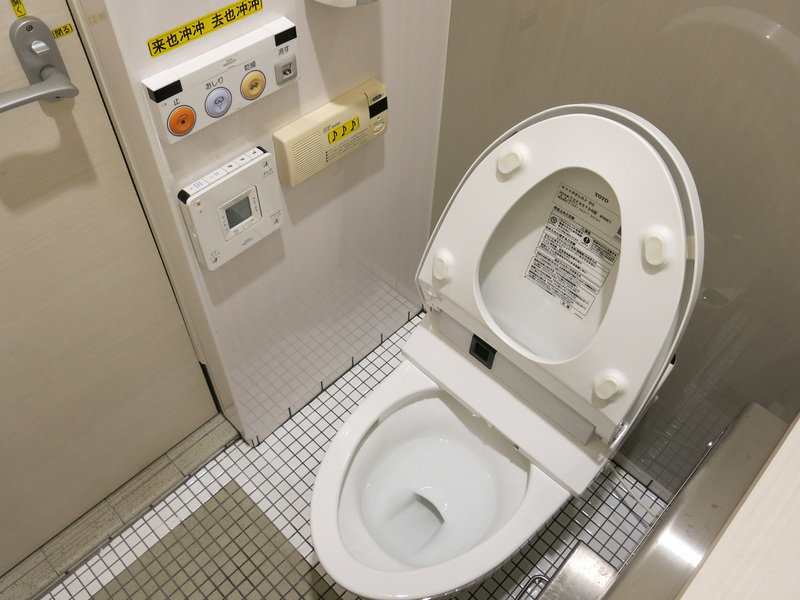 And then there's the automated toilet - the seat rises and lowers with simply the push of a button. After your done another button can be pushed to start the bidet...just know it doesn't turn off automatically. It seems like the Japanese are technologically advanced but I think they are extreme Germaphobes unwilling to touch an unsanitary surface. Most Americans are aware of anime through popular Japanese cartoons that have made their way across the Pacific - like Dragon Ball Z - don't confuse Anime with Pokemon which is a separate category of cartoons and video games directed more to children. 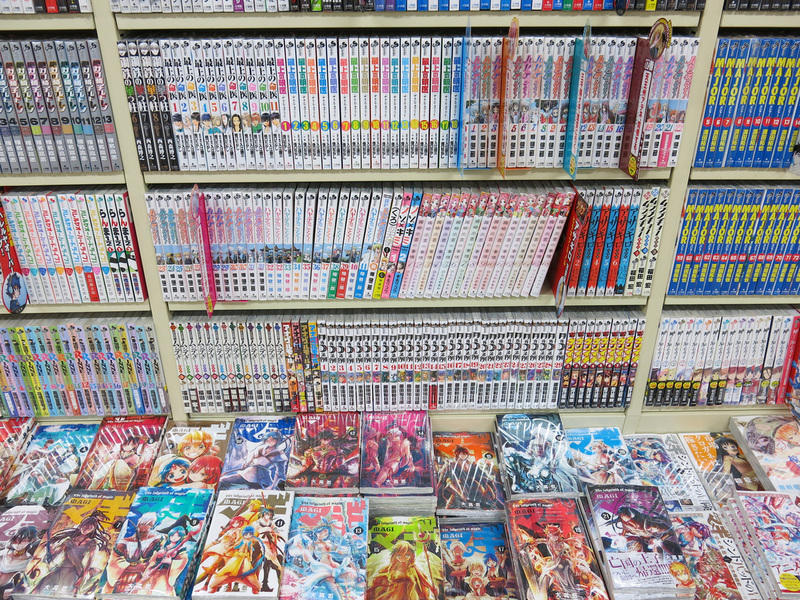 Anime is directed to more of the adult crowd, in fact there are "adult only" anime sections in anime stores. The books tend to be a cross between US comic books and graphic novels - they are comic books with more adult themes. Two of the most popular anime are One Piece and Dragon Ball. A few English versions are available in the larger anime bookshops. At the top of the "It's not weird, it's Japan" list may be Maid Cafes. If you've ever wanted to have a waitress spoon feed your meal, talk to you like you are a baby, and dress like a maid...head to one of Japan's Maid Cafes. They are predominantly located in the Akihabara area of Tokyo but you will see a few maids walking around Osaka's streets as well. It is a disturbingly weird experience watching Japanese men enjoy the experience. What is difficult to ascertain with Japan is what percentage of the population actually enjoys these sorts of cafes and shoot off enterprises like AKB48. Is it a loud subculture followed by only a small percentage of the Japanese or is it a country-wide phenomenon?